Johnnie, Stella, and Jim are not people. You’re at a swanky speakeasy and it’s time to order, but nothing on the menu sounds remotely familiar. Your date is going on about his favorite kind of single malt whisky (Rings a bell? ), but you have NO IDEA what he’s talking about, either. Relax, there's no need to panic. Don’t be intimidated by the seemingly endless variety of drinks your guy friends, boyfriend, that guy you’re kind of hanging out with, or even your tito and lolo love. Read on, and the next time you find yourself in a place sans girly cocktails, you’ll sound like a total connoisseur when you order a drink. Also known as draft, which means the beer comes straight from the keg and through a tap. It’s usually fresher than the bottled kind, and the taste varies from keg to keg. Bottled beer comes in straight from the breweries and are sealed until you pop ‘em open, so flavors are often stronger and consistent. Now let’s talk about spirits. These alcoholic beverages go through a particular process of fermentation, distillation, and aging, and are classified according to their base ingredient. They’re best enjoyed plain (try to skip the Coke), and are usually served one shot at a time. Take them on the rocks (bar speak for with ice) or neat (just the booze and nothing else), but make sure you take little sips like a lady (do not, we repeat DO NOT, use any of these as shooters). Whiskey is a general term used for spirits made from different varieties of fermented grains and is classified accordingly. It's usually characterized by a “smoky” taste caused by heating the malt in the distillation process. Although there are many different kinds, you’ll probably hear abut the following varieties of whiskey from the guy trying to impress you. 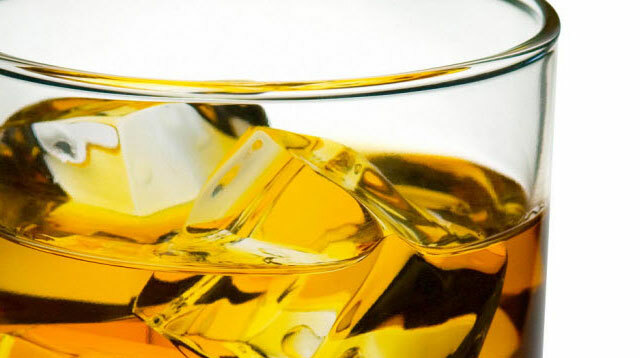 Single malt whisky basically means the content of the bottle comes from a single distillery or source. This is the most common type of whisky—what you get in the bottle is a mixture of whiskies that come from at least two different distilleries blended to get a distinct flavor. Bourbon is a type of whiskey (with an ‘e’) made from corn and harvested in the U.S. Bourbon whiskey is lot sweeter than its Scotch counterpart because of the natural sweetness of corn. It’s usually further classified depending on the state it comes from. When it comes down to it, it never hurts to ask the bartender for a recommendation depending on your preference. Be adventurous with tasting new flavors so you can figure out what works for you. Until then, a shot of Johnnie on the rocks, please!